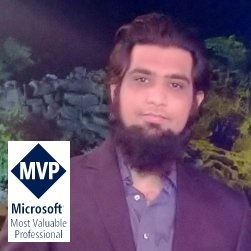 Since the preview version of Roslyn (.Net Compiler Platform) released this year, developers can use compiler as a services APIs that provides an object model to develop tools to extend the development of “Visual studio” using code analysis, refactoring and writing custom diagnostics. In this post I will walk you through the steps of developing an extension of Visual Studio using Roslyn Diagnostic with Code Fix project template. Before going into action, Roslyn is a set of open source compilers for C# and VB languages. It’s an open source project comes under .Net Foundation (Open Source Foundation for .Net). Due to the open source model developers from all around the world can contribute. Apart from contributing to the Roslyn project they can also use Roslyn “Compiler as a service” APIs to extend Visual Studio and applications in specific needs. Through “Diagnostic with Code Fix” you can actually develop your own diagnostic tool that is loaded into the Visual Studio and checks your code Syntax, Symbols etc. When you select and create a project you will see the DiagnosticAnalyzer and CodeFIxProvider classed created by default. DiagnosticAnalyzer class implements ISymbolAnalyzer but there are other interfaces as well like ISyntaxAnalyzer to analyze language syntax, ISemanticModelAnalyzer to analyze semantics etc. CodeFIxProvider is used to fix the code when the diagnostic has been made. GetFixesAsync get the list of fixes and then we can develop a method to fix those changes accordingly. On running the project, a new Visual Studio instance will be loaded and then you can create new project and test your newly diagnostic tool by writing some code. In this post, we will do a simple example of using “Diagnostic with code fix” that will analyze the naming case of Property and check if the first character is upper case or not. There are many interfaces provided for specific reason like suppose if you want to diagnose symbols you can use ISymbolAnalyzer and for Syntax Trees use ISyntaxTreeAnalyzer and so on. Here, we have implemented ISyntaxNodeAnalyzer to analyze the syntax node. * What is Syntax Node? Syntax node represents the syntactic constructs such as declarations, statements, clauses, and expressions. Each category of syntax nodes is represented by a separate class derived from SyntaxNode. In Syntax Tree API, each node can be a compilation unit, type declaration, method declaration, property declaration, parameter list etc. When you implement ISyntaxNodeAnalyzer, you have implement the property SyntaxsKindOfInterest and AnalyzeNode which is invoked when you write a code in Visual Studio, selecting any project template. In the SyntaxKindOfInterest you can specify the SyntaxKind. In my code, I have specified the SyntaxKind.PropertyDeclaration to analyze the Properties but you can add as many syntax kinds in the ImmutableArray. In the AnalyzeNode method we can check the property first character if it is Upper case or lower case. Here is a complete code. When you run the application and if you declare any property having lower case Name you will get the green line and shows as warning. Now, when the user take an action on the code snippet to fix the code, GetFixesAsync method is called by the Roslyn API which then change the code by calling CodeAction.Create method. Following is a full code snippet of CodeFixProvider that resolves the naming issue. // Compute new uppercase name. When you hit F5 a new instance of Visual Studio open up and you can test your diagnostic utility by writing some code. Following is the screen shot showing the green line for Property that have lower case name. If I hover the cursor on this line I will get my custom message.